If you are looking for a fun, family friendly obstacle/mud run, then we have it! 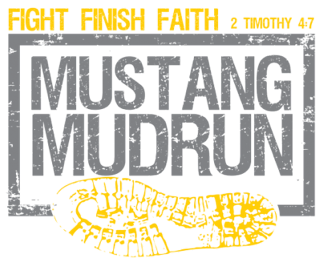 Our 3rd annual Mustang MudRun will be Saturday April 6, 2019 from 8:30am until 11pm. The course is located on the beautiful campus of Madison Academy in Madison, AL. This year we are adding new obstacles, another creek crossing and MORE MUD!. The distance is 5K and we plan to have 15 obstacles. We are also adding a 1 mile mud run for ages 6-11. (Children under 8 must have an adult accompany them). Come join us for a little mud fun! This is a rain or shine event. We will reschedule if there are thunderstorms or dangerous inclement weather. No refunds. Packet Pick up is TBD on Friday, April 5, 2019 from 12pm until 5pm. Late packet pickup will be available on Saturday morning at the registration area at Madison Academy. We will have onsite parking for $10. Please make sure your waiver is signed at time of registration. Please arrive at least 20 minutes before your time slot to get checked in and stretched out. The event will be Saturday, April 6, 2019 from 8:30am-11pm Gate opens at 8:00am. You will want to wear old clothes/shoes that you don’t mind getting muddy. Bring a towel and change of clothes and hang around for the fun, food, and cheer on the other participants. We will also offer free bag check for all your belongings that you don’t want to get wet/muddy. There are also opportunities to volunteer for this event as well. Email us at info@mustangmudrun.com for more details about volunteering.